Ilene S. Cooper is a partner at Farrell Fritz concentrating in trusts and estates. She practices litigation in Surrogate’s Courts throughout the Metropolitan area. She also has experience in the drafting and execution of will and trust instruments, powers of attorney, health care proxies and living wills. In addition to her work at Farrell Fritz, Ms. Cooper is an Adjunct Professor of Law at Touro Law School, where she was named Adjunct Professor of the Year in 2011, 2001 and 2000. She is also a member of the School’s Board of Trustees. Previously, Ms. Cooper worked as a Principal Law Assistant/Referee for the Surrogate of Suffolk County, Honorable Ernest L. Signorelli. 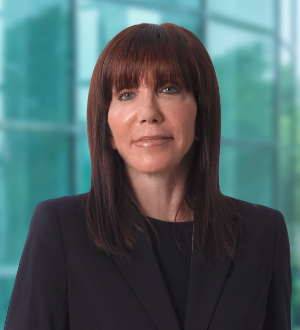 She is a frequent contributor to Farrell Fritz’s New York Trusts & Estates Litigation blog. Ms. Cooper and her colleague drafted a proposal to amend Rule 4503(b) of the New York Civil Practice Law and Rules, which Governor Cuomo signed into law on August 19, 2016. The proposal called for the exception to the attorney-client privilege that applies in proceedings concerning the validity or construction of wills to be extended to revocable trust contests. Ms. Cooper is a past Chair of the New York State Bar Association’s 5,000+ member Trusts and Estates Law Section. In 2013, she was appointed to the NYSBA’s Committees on Legal Education & Admission to the Bar and Professional Discipline. She is also a Fellow of the New York Bar Foundation, serves on its board of directors and is a member of the House of Delegates. She is a past president of the Suffolk County Bar Association and is a columnist for the Association’s publication, the Suffolk Lawyer. Ms. Cooper serves on the Advisory Committee of the Suffolk Academy of Law, is a member of the Association’s Surrogate’s Court Committee, its Professionalism Committee and is one of the founding members of the Association’s Scholarship Fund. Formerly, Ms. Cooper was a member of the Association’s Judicial Screening Committee, a Co-chair of its Grievance Committee and a member of its Board of Directors. She is a member of the Theodore Roosevelt American Inn of Court. In 2006, Ms. Cooper was appointed by the Appellate Division, Second Judicial Department, to the Supreme Court of the State of New York’s Grievance Committee for the Tenth Judicial District. She was reappointed in 2010 to serve another four-year term. Ms. Cooper writes a column, “Trusts and Estates Update,” for the New York Law Journal. She is the author of “Case Notes,” a quarterly column published in the New York State Bar Association’s Trusts and Estates Law Section Newsletter. She also writes for Trusts and Estates Magazine and The New York State Bar Association Journal. Ms. Cooper is a former Chairperson of the New York State Bar Association's Committee on Trust and Estate Administration and a former member of the Special Committee on Fiduciary Appointments. She is also a former Officer of the Suffolk County Women's Bar Association and member of the Suffolk County's Pro Bono Committee. In 2010, Ms. Cooper was named "Volunteer of the Year" by Times Beacon Record publications. That same year, she received a special award from The Carol M. Baldwin Breast Cancer Fund for her extraordinary efforts in promoting women’s health issues. In 2009 and 2010, Ms. Cooper, on behalf of the Suffolk County Bar Association, and in conjunction with the Suffolk County Women’s Bar Association and North Shore-LIJ Health System/Katz Women’s Hospital, coordinated a Women’s Health Symposium to address important and timely health issues. In 2008, Ms. Cooper was appointed to the Suffolk County Youth Board Coordination Council. Her appointment to serve as a member of the Council was approved by a vote of the Suffolk County Legislature. The Youth Board advises the County Executive on matters pertaining to children and youth and ensures effective county wide planning, development and management of resources necessary to sustain the youth service system. Ms. Cooper was responsible for drafting an amendment to EPTL 5-3.2, which was signed into law in June 2007, in order to increase the inheritance rights of non-marital children. Together with members of the New York State Bar Association’s Trusts and Estates Law Section, she also drafted an amendment to SCPA 2307-a, dealing with attorney-fiduciaries, and was instrumental in initiating and spearheading an amendment to Surrogate’s Court Procedure Act (SCPA) 2211, which became law on August 1, 2007. The amendment provides for discovery prior to the filing of objections in contested accounting proceedings. In 2006, she drafted legislation, signed into law by Governor Pataki, which provides that abusive parents, whose rights have been terminated under Social Services Law, are disqualified from receiving an inheritance from the abused child’s estate. In 2003, Ms. Cooper was nominated as a Fellow of the American College of Trust and Estate Council (ACTEC). In 2002, she published a textbook entitled, “Wills, Trusts and Estates – Essential Tools For The New York Paralegal,” which serves as a practice tool and guide for paralegals, as well as general practitioners involved in the field of trusts and estates. Further, Ms. Cooper is the editor of the volume on litigation in New York Surrogate’s Courts, published by Warren’s Heaton. Ms. Cooper has been a member of the West Hollow Middle School’s School-Based Management Team. She is a board member of numerous organizations, including The Hills Foundation, the Suffolk County Child Care Council, Child Abuse Prevention Services, Half Hollow Hills Business Advisory Council, Children’s Medical Fund Corporate Alliance, Touro Law School’s Board of Governors, member of the Touro Law Center Builder's Society, and the Long Island Women’s Agenda (LIWA). Ms. Cooper serves on Friends of Karen’s Long Island Advisory Board and the organization’s Steering Committee. She serves on the Honorary Board of the Suffolk County Coalition Against Domestic Violence (SCCADV). Ms. Cooper formerly served on a special task force to evaluate the quality of education in the Half Hollow Hills Middle Schools. Ms. Cooper was selected by her peers for inclusion in The Best Lawyers in America in 2013-2017 in the field of Litigation -Trusts & Estates. She was selected for the 2008-2016 New York Super Lawyers - Metro lists (Estate & Trust Litigation). In 2010 and 2013, Ms. Cooper was recognized by Long Island Business News in “Who’s Who in Women in Professional Services.” In 2007, she was named an "Achiever in Law" by the Long Island Center for Business and Professional Women. She was named one of Long Island’s "Top 50 Women in Business" by Long Island Business News in 2002 and 2003, and in 2005, was inducted into the Top 50 Women’s Hall of Fame. In 2003, she received the "President’s Award" from the Suffolk County Bar Association. A 1979 graduate of Hofstra University Law School, she received her Bachelor of Arts Degree from Cornell University in 1976. Ms. Cooper is admitted in the State of New York. She has an AV Preeminent Martindale-Hubbell Peer Review Rating. Ms. Cooper is listed in Martindale-Hubbell’s 2011 Top Women Lawyers in the Northeast in Trusts & Estates, Wills & Probate.